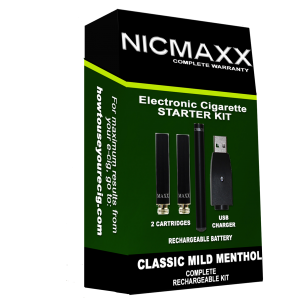 Nicmaxx “Classic Mild Menthol” starter kit is the most advanced electronic cigarette on the market today. Its smooth & refreshing taste is perfect for menthol smokers & all vapers. It is an alternative to smoking that provides everything, that a smoker looks for. 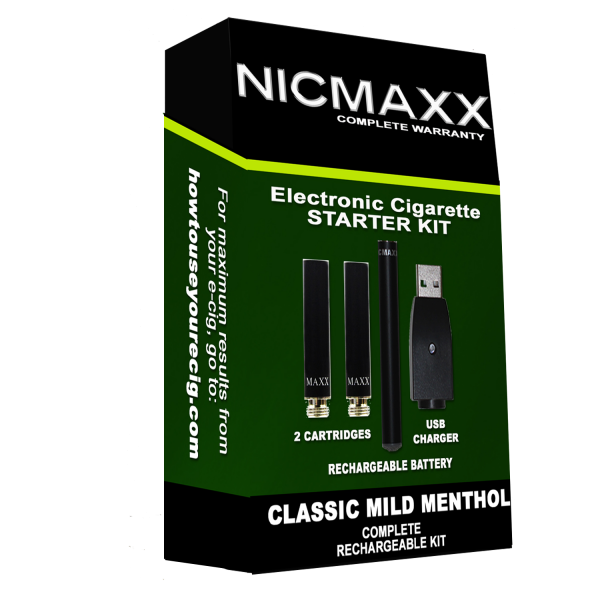 Nicmaxx allows you to start a smoke free life with mild menthol starter kit that is easy to use & causes no inconvenience. It comprises of a rechargeable battery and a cartridge. You can recharge battery with the USB charger provided with the kit & fit in refill cartridge. It eliminates the need to purchase new cigarette every time & minimizes your expenses on smoking.